Will the Aeolians perform any of her songs? HUNTSVILLE, Ala. --- Rapper Nicki Minaj did her honest part to lower the costs of Adventist higher education today. She pledged to pay for all tuition costs for Oakwood University students for a year. 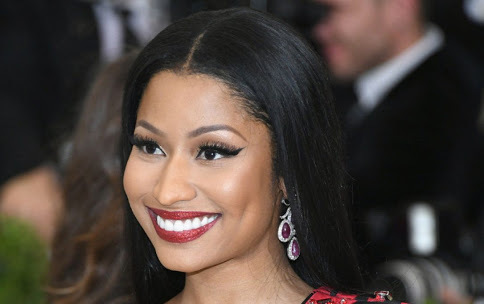 The generous gesture comes on the heels of Minaj paying the school loans of some of her Twitter fans that could show that they made straight A's. Minaj had reportedly heard about the rising costs of Adventist college from Adventist fans. She then decided to help students at the Adventist school with the best choir in Adventist higher education. The star who is reportedly worth about $70 million said that Adventist fans sent videos of various Adventist university choirs performing to her. "I was convinced beyond a shadow of a doubt that Oakwood University's elite choir, the Aeolians, are the best Adventist choir on the planet," said Minaj. "So Oakwood's 2017-2018 school year is on me." Minaj is rumored to be searching for the Adventist school with the best veggie burger for "future funding experiments." The elephant in the room is: why the heck does she have SDA fans in the first place? What ever happened to the counsel that we should listen to angelic music? I was shown that rap is evil. The sooner young Adventists figure that out, the better. Nicki Minaj- is a poor role model for a SDA females. Stop this madness. Is Minaj a Sabbath keeper? Is she grounded in the 28 Fundamental beliefs of the SDA Church? Is she an example of the health message? What about SDA dress reform-does she practice it? Does she tithe her earnings? “No” to all of the above. Stop this satire junk once and for all. Who cares about Nicki Minaj. Count me out! But you did care enough to come to this website and leave a comment, so instead of counting you out, I’m going to put you down as a “maybe” , if thats alright? Yo, Waiter & Joe-Yea I am a Pharisee. A Pharisee of the Pharisee. I am a goyem Pharisee. meshugganuh to all of you. I am going into the torah and find some words to put pox on your house. RICHEE, YOUR A TRUE SDA PHARISEE. I am glad to see that you see that I am a pharisse and not a saducee, you see? Usually I see a lot of stuff going on that I can’t see straight on any given Sabbath. Through my magic electronic internet telescope, I can see you right now with a grin on your face as you see this reply. Happy Sabbath, Bro. Find a Little Debbie and put a real smile on your face. Yummy yummy-good for your tummy. Just look at my glycierides. I might not be the FBI director now, but I’m still smart enough to know this story is crazy. I was shown that Nicki Minaj will exude a bad influence on the already-corrupted Oakwood students, which should not be listening to her so-called music in the first place. Time to clean house and confiscate all those newfangled music boxes that have bewitched our youth. Let them listen to Del Delker and The Heralds, or at the very worst, Take 6. If Adventists don’t want her, I’ll gladly take her over here in Russia. Why? Because her music has backward masking that promotes left-wing communist ideology and meddling in elections. It will have a great subliminal mesmerizing effect on our people. It’s sad to see that a person that claims to be a Jesus follower can point a A finger toward someone when everyone is not perfect. As a seven day Adventist member I think this is sad because you can use this chance as a witness to someone instead of a time to push someone away from the church . If Jesus took in Mary and did not throw a stone on her, how can you as a seventh day Adventist keeper do the opposite? Pray before you speak. And if you aren’t a donor towards education, specifically you pray before you speak. Well, okay. I guess that settles it.